The mood was subdued at the gates of our small Catholic primary school at 3:30pm on Wednesday. Ten per cent of our school's students have an autism diagnosis, and for their parents who had read Pauline Hanson's comments to the Senate that afternoon, those familiar feelings — dismay at the ignorance and lack of empathy of some people, worry for the future, and defiant pride in their diverse children — had been activated yet again. They have all heard similarly clueless opinions spouted before by blowhards in supermarket checkout queues and swimming pool changing rooms: autistic behaviours are just the result of poor parenting; parents seek out a diagnosis for their children because it's 'trendy', and irresponsible mothers induce their child's autism by eating, drinking, wearing, or sitting on the wrong thing while pregnant. And, of course, there is that longstanding fallacy that autism is caused by vaccinations (also briefly espoused by Hanson). However, Hanson's statement, 'we need to get rid of' autistic children from mainstream classrooms, has a particularly insidious sting to it, given that it was made by a federal Senator in the context of the Gonski 2.0 school funding negotiations. That teachers and parents of neurotypical kids have supposedly lobbied Hanson about the ill-effects of inclusive education reveals, at best, some resistance to the presence of differently-abled children in mainstream classrooms. At worst, it displays a yearning to return to the segregated systems of the past, whereby some children could be hidden, forgotten and granted a substandard education in contravention of their human rights. Even if Hanson has not been approached by a single teacher or parent about this issue, at the expense of children with disabilities she has reprehensively sought (yet again) to have a divisive effect on the Australian community for her own political gain. 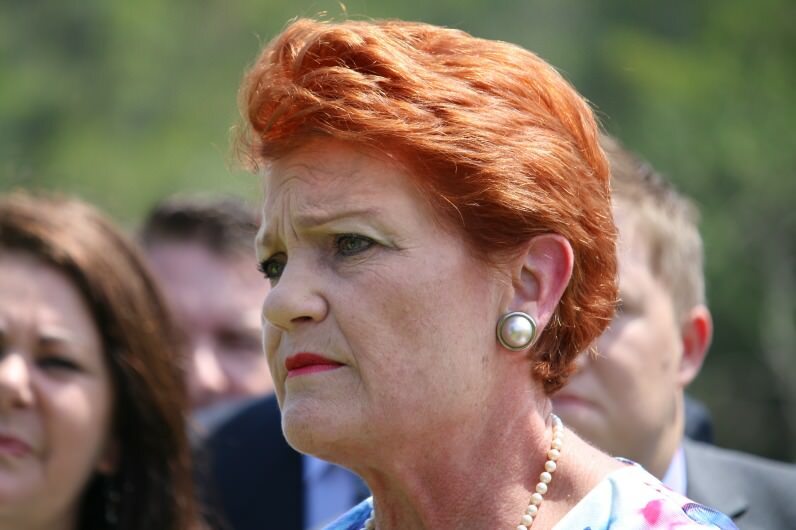 The present system is imperfect, but Hanson's focus is woefully misdirected. If she wanted to have a positive impact on the education of 'our kids' (whoever they are) and children with additional needs, she would use her powerful position to push for increased funding to support teachers in the classroom. "Hanson's focus on the supposed 'drain' children with additional needs have on their teachers and classmates wilfully ignores the very many positives they bring to a classroom, and the enrichment they bring to a school community." The provision of more professional development and employment of classroom aides would be of far greater benefit (and more cost effective) than re-establishing a national two-tiered education system, which would only segregate the community and perpetuate the kind of ignorance Hanson revels in. Fenella, a newly qualified primary school teacher, similarly refutes the notion that her students without disabilities are 'disadvantaged' in the classroom. She says, 'they are exposed to the idea of difference, and what is wrong with that?' She also observes that the modern classroom teacher works not only with children on the spectrum, but children with speech impediments and those who 'have never been exposed to a book before'. Where exactly would the line be drawn in Hanson's poorly envisioned education system? What level of 'ability' would a child require to ensure her welcome in a mainstream school? I'm certain that in the coming days, Pauline Hanson will receive similar feedback from her constituents who embrace their children's experiences of humanity in all its diversity. Just as she was forced in March to backtrack on her statements about vaccines causing autism, perhaps she will be compelled to apologise for yesterday's assertions about the necessity of excluding children with additional needs from mainstream education. Madeleine Hamilton has a PhD in Australian history and is currently undertaking a Masters in social work. I reckon Hanson's got Attention Deficit Disorder and the rest of us, particularly the media, should develop it too whenever she opens her mouth. From my observation as the parent of average to very bright children, the "supposed 'drain' children with additional needs have on their teachers and classmates" is very real and shouldn't be denied just because there are benefits too. By glossing over the additional needs of "wide of average" children you weaken the argument for additional funding to make sure "all" the children in the classroom receive a proper education and teachers don't suffer from burnout. ... The example of "Fenella" above is of a new, idealistic teacher. I wonder how she'll be feeling a few years down the track after constantly coping with very wide divergences of abilities in her classrooms. Teachers "do" put a lot in to cater for everyone. But should we be relying on their goodwill until they burn out? We need to muster every argument possible for more funding so that "all" children and "all" teachers thrive in their wonderfully diverse classrooms. I don't agree with Hanson's statement, but neither do I agree with the hysteria being created in the media over her words. I wonder if many of the critics even bothered listening to her speech. She wasn't deliberately divisive as per her usual style when referring to race/immigration issues. And neither did she say we "need to get rid of autistic children" from mainstream classrooms. This is fake news. She was talking about getting rid of do-gooders who merely want to feel good about diversity, even when it's not in the bets interests of the child. And so obviously let's debate what's in the interests of the child - and consider that from SOME autistic children, where funding and help is not available, a special learning environment MIGHT assist them. And ironically with Gonski 2.0. there will be LESS funding for support for autistic students in mainstream schools. This seems like a storm in a teacup to me. She was trying to be supportive by saying they need extra help but in her inarticulate way she left herself vulnerable to being taken out of context. She wasn't saying segregate them and leave them to their own devices. Seems to have triggered a lot of sanctimony (not talking about your fine article). I'm cancelling my subscription after this article's desire to steal funding for autistic and other special needs children. Hanson is correct and most teachers I know have been calling for exactly this for years. Maybe a greater number of Australians have a bit more of an inkling as to how Aborigines, Asians and Muslims have felt after other sprays from these Senatorial lips. Agree whole heartedly, Madeleine, but amused by the irony of 'Pauline Hanson' and 'the value of diversity' in the same sentence! Isn't destroying diversity One Nation's only policy? I guess the first line says it all - 10% of students in one school with an autism diagnosis... Autism is the equivalent of hyperactivity in the 1970s/ADHD for the 1980s and 1990s,.. waaaayyyy overdiagnosed. As a teacher, I can say 100% thankyou to Pauline for broaching this issue. Interesting the reaction from media/interest groups so that this debate can't take place. Emotive reactions from parents are irrelevant in debates like this. For some autistic students, integration is not the answer and, yes, the rest of the mainstream class do suffer, an issue you have failed to address here. Sure, be a good parental advocate for your children, but at what stage do your child's rights have to be set aside for the rights of other people's children to actually get a decent education? Arguing against diversity, in favour of the perceived interests of the very narrowest of "mainstreams", no matter the reality or consequences, is really what One Nation has been about. Nothing if not consistent. Whilst Pauline Hanson's comments are just so "wrong" for want of a better word (let's keep it simple), as a teacher I really worry that the general population have no idea of the absolute hell that many children endure in our schools. Anyone that is even slightly different cop it day in day out. I really am worried that the demise of the "safe schools" program is due to the total lack of understanding of many Christian people just not realising how toxic, even the very best schools are, when it comes to the bullying of kids. Young people that are red heads, gay, transgender, not classically beautiful, a different weight to the norm, a minority cultural group, etc. are daily targets of others. Their lives are miserable. Unfortunately the effects of living like this for extended periods of time have life long disastrous consequences. This scurge of anxiety and depression AND SUICIDE in our society is REAL! What Hanson has raised, is just the tip of a very ugly iceberg, that we as a society find ok to tolerate a significant number of children living a hellish existence. Well get ready for the meltdown folks! Years ago, near the end of his schooling, our older son was finally formally ‘diagnosed’ with “Asperger’s” (as this was some time back). Through family history my wife and I recognised the “Autism Spectrum” issues before he started kindergarten, but no-one listened and we never managed to get him any real support or recognition in our local small rural government and Catholic schools, where he was relentlessly bullied. He completed Years 11 and 12 away from mainstream schools though Distance Education (who were wonderful) for his own sake, no-one else’s. I stayed home with him for three years all up while he worked out his path. He is not “disabled” in any way, and is now completing his PhD in robotics and technology interface, something our society currently values highly. Looking back now, I feel that he survived his education much better than his “neurotypical” younger brother, who is “artistic” so much less valued by society nowadays. I think there may be a case for some students to be educated outside mainstream schools to achieve what is best for them. Mostly I wonder why we have a education system that is so destructive for so many children. She is also intensely divisive, without unduly judging her motives, which appear to seek a political advantage. That alone should disqualify her as a politician of any substance. What level of English language skills does one need to understand what Senator Hanson means when she is making a speech? Well higher than that proposed by the government's Citizenship test. You see Senator Hanson can always claim she was taken out of context. So when she says disruptive students should be taken out the mainstream and put in a separate classroom she is really appealing for more resources (more classrooms, more specialist teachers, more conditioning of the mainstream to learn to respect the needs of their disabled peers). Gonski is meant to be a students-needs-based distribution of money but it has a fatal flaw. The distribution is calculated on the socio-economic status of where the school is rather than the socio-economic situation of the individual students. The next morning Senator Hanson told a press conference she had been taken out of context. She was right in that regard but her inability to express her ideas clearly & succinctly (even when they are insightful) makes them easily taken out of context. For me the standout line in this article was about creating "socially inclusive and understanding adults". Now who can we think of who really doesn't fit that bill at all? Madeleine a fantastic article. So very true on many levels. My wife taught children on the spectrum and she totall agrees with you comments. Well done keep up the great writing. Ms. Hanson has made it clear she will never apologize for the harm her inarticulate and inflammatory selective argument for segregation in mainstream schools has caused, both in her impromptu press conference outside parliament yesterday, and in the long winded back tracking interview with Bolt. She deserves to be denounced and better informed, but like all far right 'shock jocks', she just blocks everyone that doesn't echo her propaganda and singular agenda. Hence it's futile reacting to her stupidity. It's not appropriate to single out children on the autism spectrums as any more different in need requiring creative new thinking in education than socially traumatized children, children impacted by generational poverty, neglect or homes of drug and alcohol dependence, or children born with alcohol fetal syndrome and children displaced from war zones or their biological family. If there's a need for more resources and flexible educational opportunities for any groups of vulnerable children, surely it would be more appropriate to lobby passionately through school Councils, eminent educators and wise well informed Ministers than a public debate around any nonsense Hanson uses to demonize minorities to perpetuate social division. All methods of education have shortfalls and warrant continuing debate of wild ideas for a changing future , and any discussion with children shows they're way ahead of us and the true hope in the future !